Great things often come in small packages and this rings true for the River Rock .5 watt LED headlamp. Built tougher than most guys can dish out, this little headlamp has great output, 7 hours burn time, runs on 2 AAA batteries all while only weighing in at 2.9 ounces. There’s no reason not to have this in your pack either as your primary light or your emergency back up. A large button on the top makes turning it on or off a piece of cake, even with gloves on. 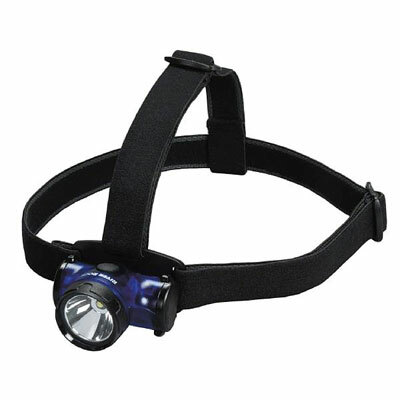 Tracking your Pope and Young buck in the dark is made easier given this headlamp’s 3 adjustable straps which ensure they’ll fit any melon and will stay secure when you’re on the move. At this price picking up a couple of these headlamps and passing one along to your hunting buddy is sure to score you some points. Got something to say about the RIVER ROCK .5W LED HEADLAMP? Tell the world by commenting below. Im not one that stir the pot but i bought one of these at a store here local went threw 7 of these and returned all of them. they were junk…sorry kendall wish i could have let u know before u bought these…. Dang, wish we would have known that. The one we tested seemed to work great and at this price we figured it’s a great backup light. Thanks for the help Ray, I will keep on waiting for the perfect light on CamoFire. It is a great idea for a backup though.